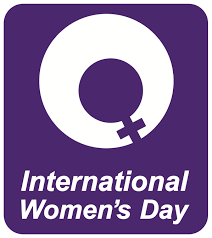 This Wednesday sees the return of International Women’s Day, an annual event designed to raise celebrate the social, economic, cultural and political achievements of women, and raise awareness of issues that affect them. In particular, the movement, which is global and has been observed since the early 1900s, marks a call to action for accelerating gender parity. This year the theme is specifically focussed around achieving gender equality in the workplace, aiming to encourage girls and women achieve their ambitions – check out the hashtag #BeBoldForChange, and #InternationalWomensDay where people across the world will be discussing this issue across social media on Weds 8th March. The theme of workplace equality is one which is very much close to the heart of us here at Pride Road. Founder Lisa Raynes initially started her own private practice, Raynes Architecture, some years ago, to combat the issue of work-life balance presented by working in conventional architecture practices, while trying to raise her young family. 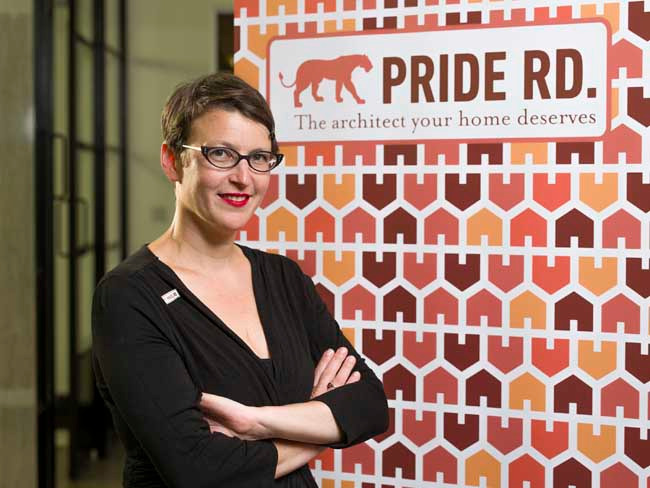 A significant figure on the architecture and property scene in the North West, she launched the Pride Road franchise last year in order to extend the opportunity to other parents of young children who had encountered the same issues in the workplace. Historically, this is a burden that has disproportionately affected working women right across the professions. Almost half a million professional women on a career break want to return to work, but unfortunately three out of five of this group will be compelled to work in a lower paid or lowered skilled role. “Most women returners continue to face the triple whammy of unconscious bias: gender, age and lack of recent experience,” says Julianne Miles, a chartered psychologist and co-founder of Women Returners commenting on the matter in a Guardian article on this issue. The issue directly affects those studying and working in architecture. On entry into university to study architecture there is a 50/50 split between men and women. However only 25% of qualified architects are female and only 17% of RIBA chartered architects are female. According to the Architects Journal, the Gender Pay gap is widening still. Female Architects put off having a family until 32 – 4 years older than the UK average. Women also take home a shocking £55k less than men at partner level. Unfortunately, the current political and economic climate does not suggest that these issues are priority for the general public. With the recent mood of voters in both Britain and the US, there seems to be a reaction against movements which promote equality for political minorities such as women, immigrants, and LGBTQ people. Equally, there does seem to be a reaction against the same by campaigners and grass roots movements. For example, The Women’s March on 21st Jan 2017, was designed to raise awareness of issues affecting women, and turned out to be the biggest single day of protest in history. There are active protests movements here in the UK, such as the Women’s Equality Party, which exists to combat inequality. Here’s a bit of levity, mixed in with some facts, to explain more about the situation. The data from RIBA shows that there is an attrition rate during the 7 year qualification period for architects. Women typically dropping off at a rate of 2-3 percent between Part 1 and Part 2, and then again by the same rate between Part 2 and Part 3 of the professional qualification. The rate of attrition has actually increased between Part 2 and 3, going up to 4 percent – that is to say, some of the gains in gender parity have been lost. All of this suggests that women are more likely to drop out during the qualification period at a greater rate than men. The good news is that we have been moving towards gender parity, certainly in architectural study and qualification, over the years. So, more women than ever are becoming qualified as architects. However, in terms of ongoing professional active work, the ARB, the official body which regulates and governs professional architecture, shows that women currently made up only 25% of all registered architects in 2015 – far from gender parity. There has been further research into this areas, including Lisa Raynes’s Market Research into the Attrition of Women from the Architecture Industry: By the University of Manchester Business School (June 2012). In terms of what can be done to alleviate the issue, there is no single answer, but it will require a multi agency approach which includes both grass roots and senior level involvement. We recommend everything from role models to Awards to Mentoring to Networking, to training and coaching (particularly for confidence), to group mentoring, placement, setting up organisations such as franchises, educational material such as business support packs, and more. Assistance on hand to actively help with reskilling, skills recognition in industry / validation, having skills recognized by clients, as well as assistance from this industry bodies such as RIBA will help. Their client survey feedback loop can be leveraged to recognise environments that are supportive of parents in general and women in particular. A culture and an organised system to promote affirmation for female returners to boost their confidence, as well as qualifications for client / quality mark of trust will also make a difference. It’s been said that women need to work twice as hard to make up for lost time during the years when they have children. A system which enables and encourages them stands to win greater gains. Research has found that unleashing women’s full potential in the economy as a whole could add 10 per cent, or over £180 billion, to our GDP by 2030 if all the women that wanted to work did so. That’s £2,850 for each and every one of us (Source). The potential for us all if we can leverage the talents of women returners is huge.